"Traveling used to always, literally, make me sick; but, now I count on this ImmuniPak—and, I will never travel again without it! He told me how his ImmuniPak could give my immune system the boost it might need to withstand all of the opportunities for viruses that my body wasn’t typically used to handling. I have to travel and attend conferences a lot, in cities around the world, and I love being in new places; but, until I could rely on Phil’s ImmuniPak, I had always hated the traveling part of traveling because I used to always get sick—usually ruining a week or more of my trip, which also makes jet lag even worse. After three long recent trips in less than 90 days using Ubers, trains, buses, planes, hotels, and several airports, I won’t travel without this ImmuniPak again, ever. I had used products like Airborne or regular vitamins in the past, but they worked about as well as doing nothing. To San Francisco for a conference, to Wisconsin to visit family, and to Switzerland via Montreal, Canada as a PhD candidate for PhD related events, all over 90 days. I took the ImmuniPak, as directed, each day of each trip, starting one day before the trip and stayed healthy the entire time. I will never travel without this ImmuniPak again! I can’t recommend it highly enough. As a certified teacher, I used to worry about being around sick kids. Not anymore. 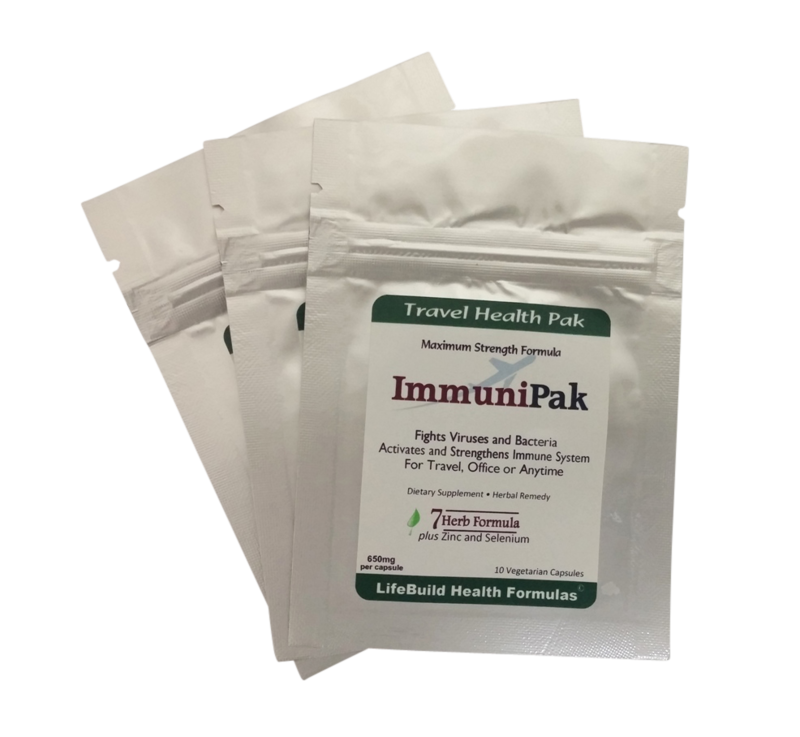 I am certified to teach 7th-12th grade in the state of Rhode Island so I also recommend this ImmuniPak to new teachers who are just building their ‘teacher’s’ immune system. I also felt no side effects from the ImmuniPak. It’s because of these reasons that I am happy to recommend it because being sick on these trips and these conferences is definitely not fun! Of course, while individual results may vary, this testimonial is a good indication of real results in the real world. With the cold virus season upon us, it can be a useful tool not only for travel, but during the cold season, or anytime, for that matter. Viruses don't take time off! Sure, they are more prevelant during periods where we are more likely to be confined indoors and enclosed spaces, and where we are simply exposed to more carriers. But to a virus, there are no seasons! It's always open season for a cold! And ImmuniPak can help you fight the fight.